Lawrence J. Pijeaux, Jr., is president and CEO of the Birmingham Civil Rights Institute (BCRI), located in Birmingham, Alabama. Dr. Pijeaux began his tenure at BCRI in July 1995. BCRI is a state-of-the-art, multi-media facility housing exhibits of historical events from post-World War I racial segregation to present-day racial progress. A native of New Orleans, Louisiana, Pijeaux received his Bachelor of Science Degree from Southern University in Baton Rouge, Louisiana; a Master of Arts in Teaching Degree from Tulane University in New Orleans, Louisiana; and a Doctor of Education Degree from the University of Southern Mississippi in Hattiesburg. Under his leadership, BCRI achieved full accreditation from the American Association of Museums in July 2005. The Institute has received two consecutive national awards, presented at the White House by First Lady Laura Bush, for community service–the Coming Up Taller Award in 2007 and the inaugural National Medal for Museum Service in 2008. In April of 2007, the Institute was named an affiliate of the Smithsonian Institution. In 2006, Pijeaux was named Alabama Tourism Executive of the Year. 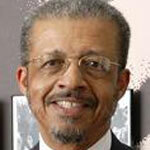 Pijeaux is the immediate past president of the Association of African American Museums.